What is your favorite meme of the expansion? Well before the Battle for Azeroth began, the memes were some of the choicest in memory. The Warbringers shorts were a start, with Jaina’s Daughter of the Sea shanty re-imagined a number of ways. 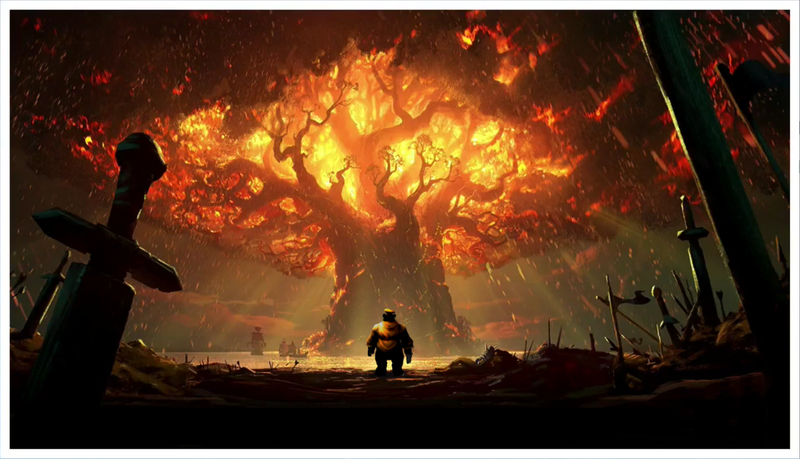 And though Sylvanas gave the order, everyone knew who really burned down Teldrassil. It only got better from there. The Old Soldier cinematic brought us a new enduring character the Warcraft community had actually named a while earlier. 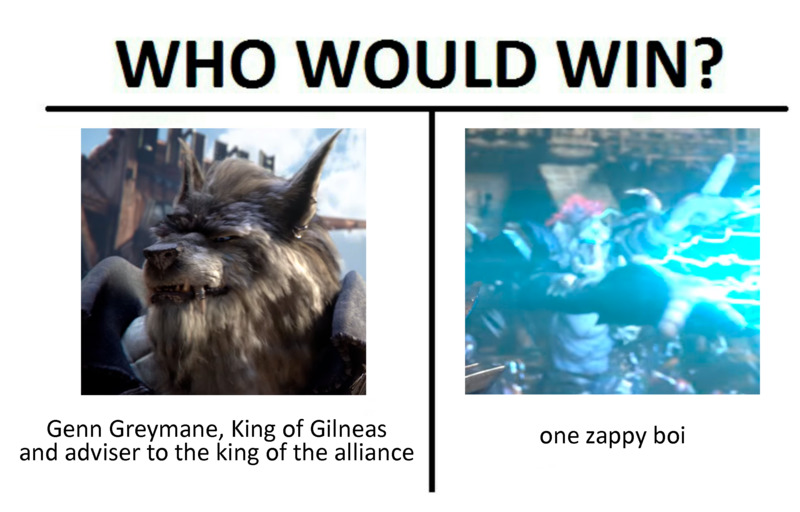 Zappy Boi had a bit part in the Battle for Azeroth cinematic when he electrocuted Genn Greymane, but we got a longer story for him in Old Soldier. After Old Soldier was released, Blizzard foolishly insisted that he had an actual name — but he remains Zappy Boi in our hearts. Just haunting. Especially when she very angrily grumbles the reprise after her companion criticizes her singing. So far, in Battle for Azeroth there have been pet memes and the whole “this definitely isn’t an Old God expansion” thing. We helped 🐢 a 🐢 turtle 🐢 make 🐢 it 🐢 to 🐢 the 🐢 water 🐢and brought about a tea party for the creepiest little girl ever. And that’s just scratching the surface! 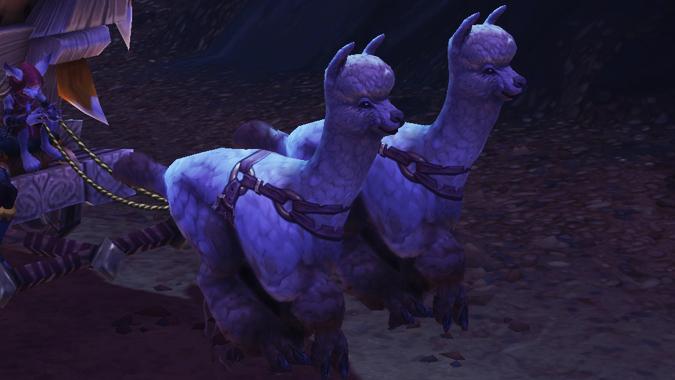 What’s your favorite meme in Battle for Azeroth so far?